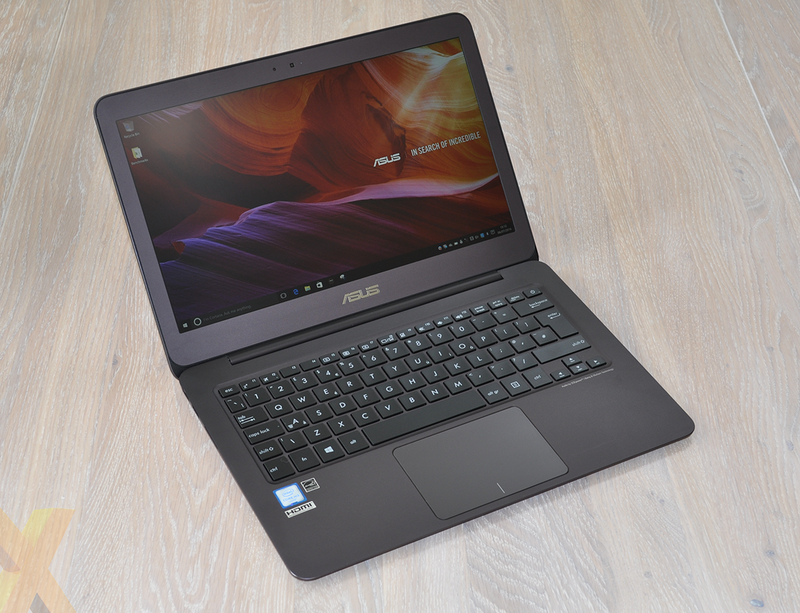 On the face of things, the Asus ZenBook UX305CA looks to be too good to be true. 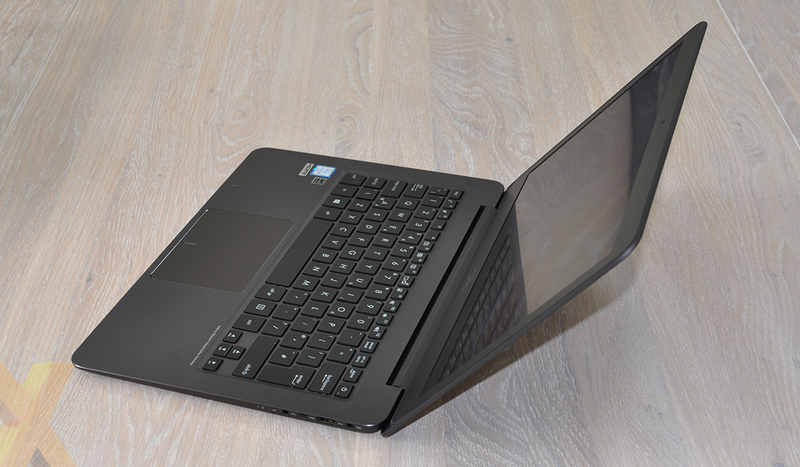 The super-svelte laptop measures less than 13mm thick, is beautiful to be behold, completely fanless and yet powered by an Intel Core processor, 8GB of DDR3 memory and a 128GB M.2 storage device. Even the display is a lush IPS panel touting a generous 3,200x1,800 QHD+ resolution, and that's not even the best bit. The entire machine, with Windows 10 preloaded, is available for around £550, if you shop around. So what's the catch? Well, there are a couple of potential caveats worth knowing about. For starters, the latest-generation Intel Core processors typically come in two product lines; Core i3, i5 and i7, representing the performance end of the spectrum; and Core m3, m5 and m7, representing low-power parts for portable PCs. 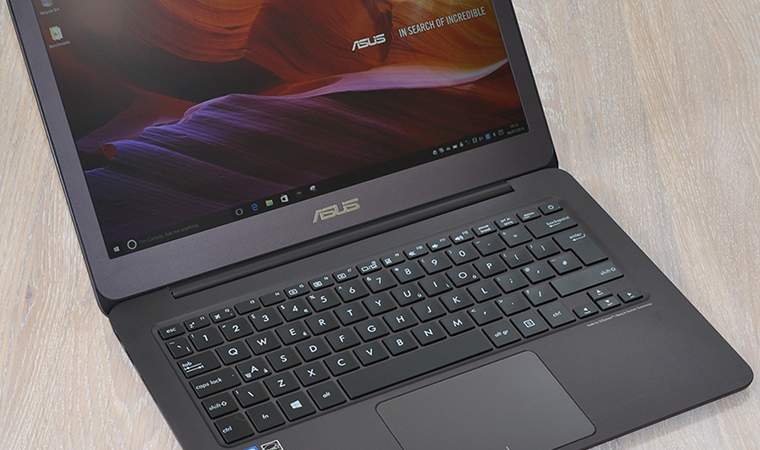 For the UX305CA, Asus is employing a dual-core, quad-thread Intel Core m3-6Y30, whose 0.9GHz base frequency and 2.2GHz boost suggests modest everyday performance. On the flip side, the chip's ultra-low 4.5W TDP is what enables such a thin form factor, and for the price the UX305CA does look and feel very tidy. Concentric circles on the lid add an extra bit of flair, and a choice of three colour options - Obsidian Stone (pictured), Ceramic White or Aurora Metallic - provide plenty of choice. A weight of just 1.2kg makes it a highly versatile 13.3in solution, and the laptop is well positioned as an upgrade from a tablet device. Heck, the UX305CA is comfortably more affordable than a 12.9in iPad Pro. And though tablets have come a long way, nothing quite compares to a proper laptop when it comes to mobile productivity. 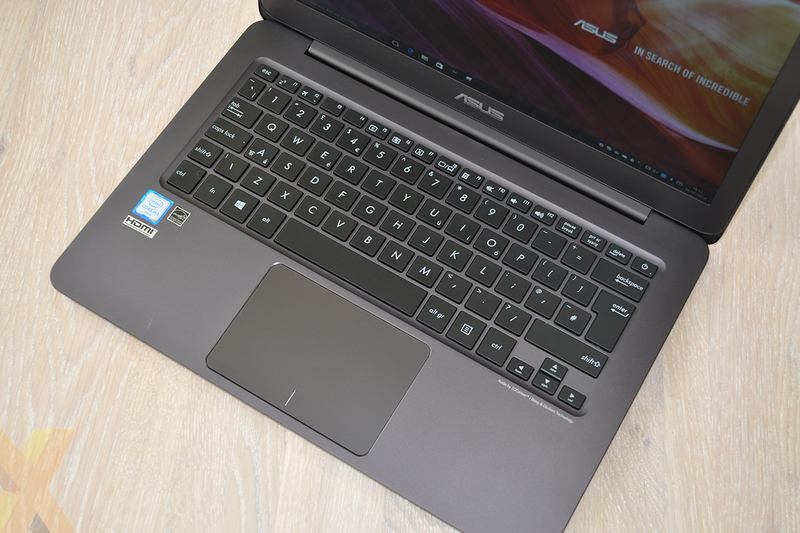 Asus's keyboard isn't particularly fancy - you won't find any LED backlighting, for example - yet it works perfectly well for authoring documents or emails. There are no unexpected key rearrangements to throw you off guard, and we like how the display hinge catches the desk when opened to raise the keyboard to a more suitable angle. The accompanying trackpad is well-sized and responds well to swipe and zoom gestures, though if we're being picky the integrated left- and right-click buttons are a little on the loud side. The two input devices are decent, but what's lacking is a third, as the reviewed UX305CA doesn't come with a touchscreen. Asus does offer a touch-enabled model (UX305CA-DQ150T) but the current UK street price of £750 doesn't represent good value. We view the lack of touch functionality as a surprise omission on a modern Windows 10 device, yet if you happen to prefer it this way, you'll appreciate the fact that the Asus panel is very good in other areas. The wide-angle IPS display offers an impressive 3,200x1,800 resolution, ample brightness, reasonable contrast and a matte finish that helps prevent unwanted reflections. Is such a resolution overkill on a 13.3in screen? That's always debatable, yet while we suspect battery life will suffer, there's no doubting the UX305CA's ability to deliver crisp text and ultra-sharp images. You particularly notice the difference when you go back to a lower-res panel, and from a marketing point of view, the QHD+ resolution stands up well against the sea of high-res tablets. For the record, Asus's 276 pixels per inch is a fraction higher than the 264 available to the iPad Pro. 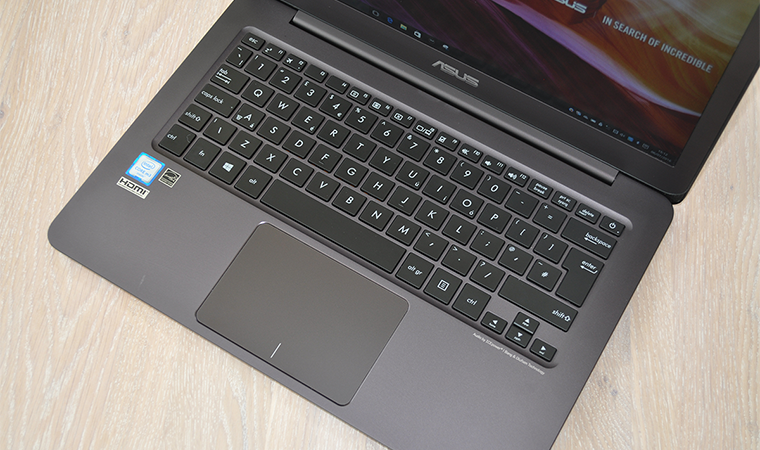 Sound output from the integrated speakers is understandably basic, yet given the thin profile, we're pleased to see Asus squeeze-in a good array of connectivity options. 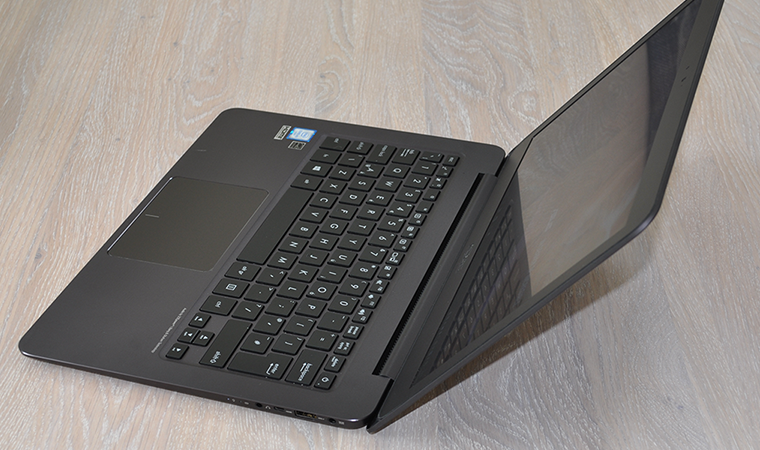 In addition to Wireless AC and Bluetooth 4.0, the laptop's left and right edges are home to three USB 3.0 ports, micro-HDMI, a headphone jack and a connector for the small, 45W charger. Better still, there's also a USB-to-Ethernet adapter included as part of the bundle. One element of the bundle that isn't so attractive is the array of pre-installed utilities. These include CyberLink PhotoDirector, Evernote, Foxit PDF, McAfee Internet Security and WildTangent Gaming, to name a few. There are frequent reminders to register and sign-up for various services, but any unwanted software elements are fairly simple to remove. The UX305CA is shaping up to be a useful solution, particularly for students seeking a good mix of portability, productivity and low cost. Let's now see if performance is up to scratch.